(hungarian: Magyarország, polish: Węgry; romanian: Ungaria; turkish: Macaristan, italian: Ungheria, spanish: Hungría, greek: Ουγγαρία) is a landlocked country in Central Europe. It is situated in the Carpathian Basin and is bordered by Slovakia to the north, Ukraine, and Romania to the east, Serbia, and Croatia to the south, Slovenia to the southwest and Austria to the west. The country’s capital, and largest city, is Budapest. 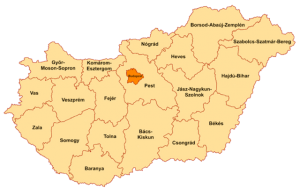 The official language is Hungarian, also known as Magyar. 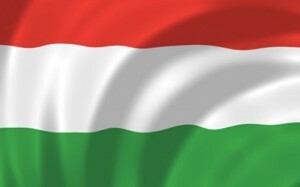 The flag of Hungary (magyar zászló) is a horizontal tricolour of red, white and green. In this exact form, it has been the official flag of Hungary since October 1, 1957. The official Hungarian state flag does not contain the Hungarian coat of arms. The current coat of arms of Hungary (címer) was reinstated on July 3, 1990. The sinister (right side from the viewers point) consists of a silver double cross on red base, situated inside a small golden crown, the crown is placed on the middle heap of three green hills, representing the mountain ranges Tátra, Mátra, and Fátra. The dexter (left side from the viewers point) features the so-called Árpád stripes, four silver and four red stripes. Traditionally, the silver stripes represent four rivers: Duna (Danube), Tisza, Dráva, and Száva. The forint (Ft; HUF) is the currency of Hungary. 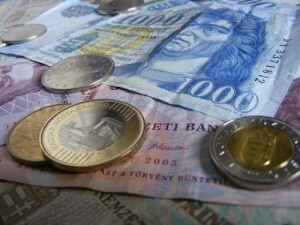 The introduction of the forint on 1 August 1946 was a crucial step of the Hungarian economy. Banknotes: 500, 1000, 2000, 5000, 10.000, 20.000 forint. (hungarian, italian, spanish: Budapest; romanian: Budapesta; turkish: Budapeşte; polish: Budapeszt; greek: Voudapésti) is the capital and the largest city of Hungary. In 2011, Budapest had 1.74 million inhabitants. Budapest became a single city occupying both banks of the river Danube with a unification on 17 November 1873 of west-bank Buda and Óbuda with east-bank Pest. The name “Budapest” is the composition of the city names “Buda” and “Pest”, since they were united to become a single city in 1873. 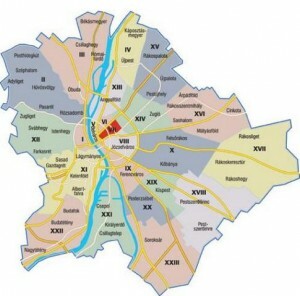 The name of our school is Szent-Györgyi Albert Primary and Secondary School. It is situated in the centre of Budapest, close to Kálvin Square, the National Museum and the Great Market Hall. Our school was named after our former student, the famous scientist Szent-Györgyi Albert, who got a Nobel Prize for inventing vitamin C. There were some other famous Hungarians who studied at our school e.g: Péter Erdő the Archbishop of the Catholic Church of Hungary, Géza Gárdonyi and Ferenc Molnár, who wrote some popular and well-known books.